Since the roll-out of the NTSA, Fika Salama campaign, Kenyans witnessed increased traffic law enforcement countrywide – The measures are seen as a response to the scores of deaths reported since December began The National Transport and Safety Authority has arrested over 700 drivers found breaking road rules. The safety authority announced on Saturday, December 24 that the lawbreakers will be arraigned in court this coming week. The high number of arrested law breakers came as a result of the introduction of NTSA’s Fika Salama campaign. This news comes as no surprise following the high number of road related deaths reported in the past few weeks of December. 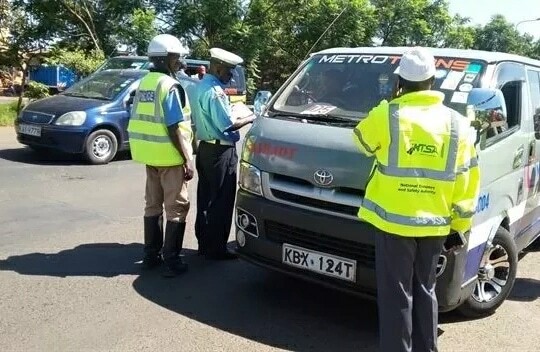 In a statement from NTSA and seen by TUKO.co.ke, 34 public service vehicles (PSV), 42 commercial and 310 private vehicle drivers were arrested for speeding. 700 drivers to spend painful Christmas in Kenya police cells over various traffic offenses Reviewed by samrack on December 24, 2017 .